PowerObjects joins prestigious group of worldwide partners in receiving inner circle recognition for 2013. PowerObjects, a professional services firm 100% focused on providing service, support, education and add-ons for Microsoft Dynamics CRM, is proud to announce that it has been awarded membership to the prestigious 2013 Microsoft Dynamics Inner Circle. 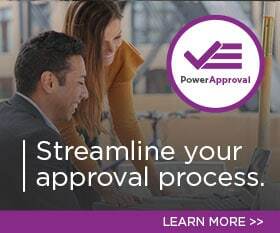 PowerObjects joins a select group of worldwide Microsoft partners in attaining this distinction, which recognizes excellence in sales and service achievements. Inner Circle members were announced at Microsoft’s annual Worldwide Partner Conference (WPC) in Houston, Texas. PowerObjects was also honored as the winner of the 2013 Microsoft Dynamics CRM Partner of the Year award for the second year running at the event. Microsoft’s Worldwide Partner Conference provides Microsoft’s partner community with access to key marketing and business strategies, leadership, and information regarding specific customer solutions designed to help partners succeed in the marketplace. Along with informative learning opportunities covering sales, marketing, services and technology, the Worldwide Partner Conference is an ideal setting for partners to garner valuable knowledge from their peers and from Microsoft. More information can be found at http://www.digitalwpc.com and on the Partner Network home page at http://microsoftpartnernetwork.com.